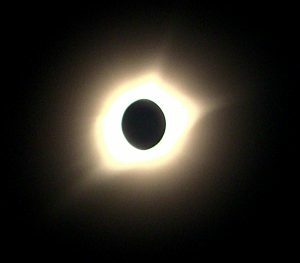 I was fortunate enough to observe the total eclipse on August 21, 2017, from Hopkinsville, KY, or, as the town whimsically dubbed itself, “Eclipseville.” They were justified in the nickname by virtue of being the location in the U.S. with the longest total blackout period during the eclipse. 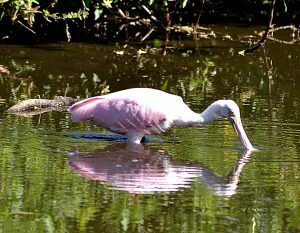 We had a perfect, near-cloudless, sunny day — well, sunny until about 1:20 p.m.! 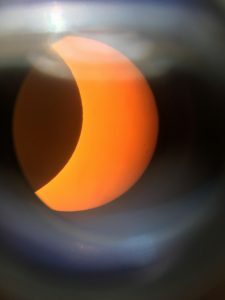 Then it got very…dark. 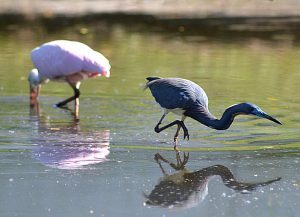 What an awesome phenomenon. 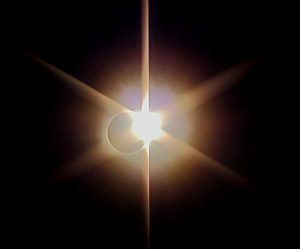 Hopkinsville is a great little town, and the festive atmosphere throughout the morning and roaring of the crowd during the eclipse made it extra special. 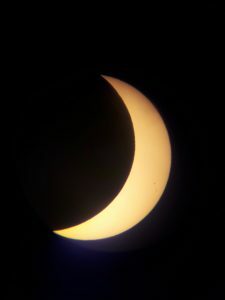 I took a couple of shots through a telescope before the totality and then got a still shot through a video camera during the totality and one as the sun was emerging. 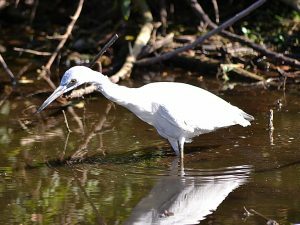 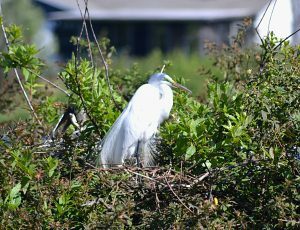 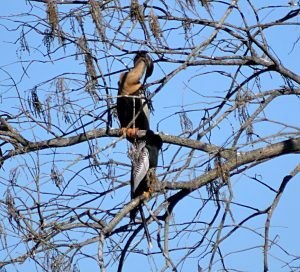 Some photos I took at a nesting ground at a small lake in the Northdale area, just east of Dale Mabry. 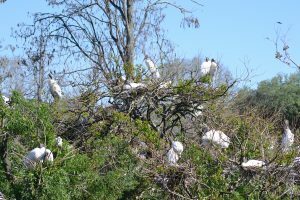 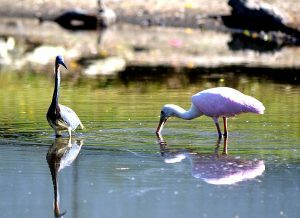 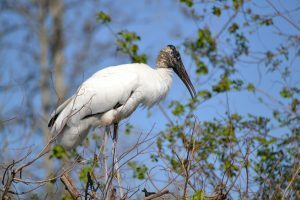 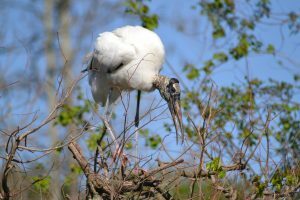 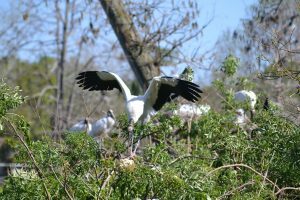 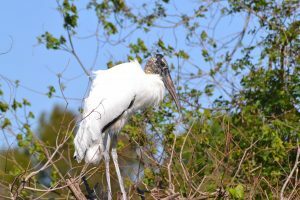 It’s amazing that this lovely ecosystem, full of wood storks, snowy egrets, herons, roseate spoonbills and others, is situated so close to the crazy traffic and endless strip malls of North Dale Mabry. 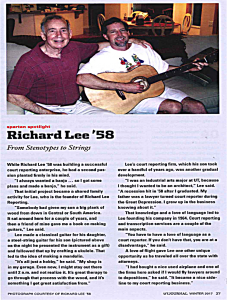 Here’s a nice write-up about my father, UT alum Richard Lee, founder of Richard Lee Reporting and luthier extraordinaire, pictured with my brother Gary (have to click photo two separate times to enlarge to readable size).